We are pleased to announce the availability of two new products to the VTech ErisTerminal range. Expanding on the capabilities of VTech’s second generation range of SIP phones, these new additions are set to add even more features and flexibility to this excellent series. Designed for use with the VSP600A and VSP610A DECT systems, the new VSP605A DECT Repeater extends coverage to approximately 135 metres, helping to maximise coverage in larger buildings. With the capability to connect up to 5 repeaters to a single DECT base, you can adapt your solution to suit individual building requirements. For those who are familiar with the VSP600A, the new VSP610A incorporates all of the same great features of the VSP600A, including support for up to 6 SIP accounts and 4 concurrent calls. Now supplied with enhanced software, the VSP610A also enables access to new features such as remote XML phonebook, open VPN client and active URI/URL. VTech, don’t they make Toys? 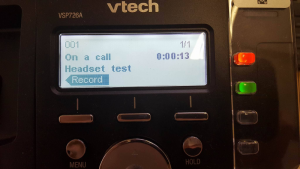 Undoubtedly, VTech are best known in the UK as leading manufacturers of Children’s electronic toys, but did you know they are actually the world’s largest manufacturer of DECT phones? VTech manufacture all of their own products, their telecoms factory alone employs 13,000 workers! Watch out for new products, coming very soon! 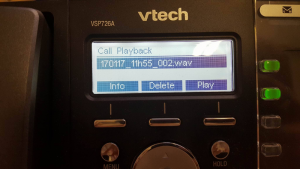 If you have either VSP726A or VSP736A then you will have an SD card slot on the back of the phone, this is for call recordings. First of all you need to go to Menu and then “Admin Settings” this requires your admin password, from there scroll down to “Call Recording” and “Enable” Call Recording. 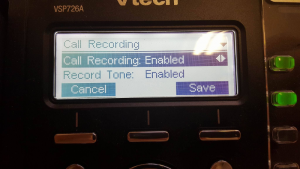 When on a call, “End, Transfer and Conf” appear on the screen, press the right arrow key on the silver direction pad, this will show a”Record” option. Select this option and this will start and stop recording your call. Once you have stopped the recording you can find this again by going to “Menu” > “Features” > “Local Call Recording”, in there will be all the calls you have recorded. To listen to the recording you can either play them on loud speaker through the phone or through the handset or headset, you can even remove the SD card from the phone and listen to them on the PC. 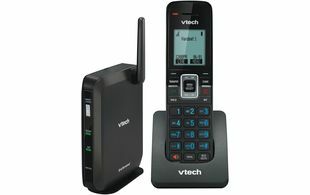 VTech’s ErisTerminal range offers a unique set of DECT capabilities, making them really flexible and enabling users to make and receive calls whilst away from their desks. 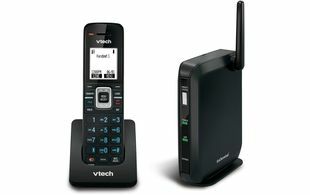 Both VTech’s mid range and executive level deskphones, the VSP726A and VSP736A come complete with an in-built DECT module which enables them to be paired with the VSP601A DECT handset and / or the VSP500A DECT cordless headset. Offering flexible, hands-free mobility the ErisTerminal range offers full peace of mind with an industry-leading three-year warranty as standard. Available at extremely competitive prices, the ErisTerminal range remains unaffected by the current volatility in the exchange rates and offer a great option for many advanced communications solutions. 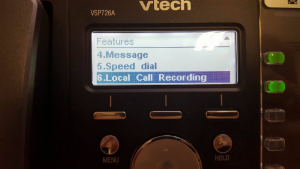 See our simple guide: Pairing the VTech DECT Handset and Headset with the VTech VSP726A & VSP736A. On the Desk Phone click on Menu > User settings > DECT Headset, at this point lift the Cordless Headset off of its charging dock and place back down and then selected “Register” on the Desk Phone. This will search for the Cordless Headset and “Registration Successful” will appear on the screen of the Desk Phone. They are now registered and ready to go. 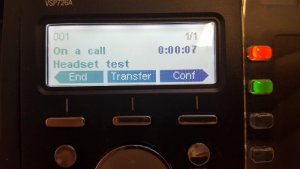 (VSP726A and VSP736A has built In base station) Once both the DECT Handset and the Desk Phone are turned on, go to the DECT handset go to Menu > User Settings > Registration > Handset. “Which device do you want to register the handset to?” will come up on the screen select Desk phone, this will then tell you on screen what to do with the Desk phone. Once you follow the steps on the Desk phone you’ll get to a screen that says “Register” and “De-register”, Press “Next” on the Handset and “Register” on the Desk Phone. The New VTech ErisTerminal Range is Now Available! 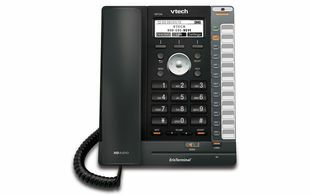 VTech’s new improved ErisTerminal deskphone range is now available from ProVu. 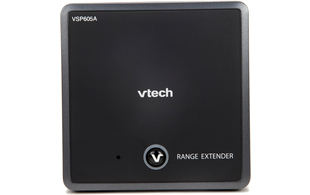 Acting as replacements for VTech’s previous models, the VSP716A, VSP726A and VSP736A have been designed to offer flexible business solutions and feature PoE support, dual Ethernet ports and an industry-leading 3 year warranty. Offering some unique features to other comparable SIP phones in the market, both the VSP726A and VSP736A have an integrated SD card slot which allows users to record and save calls directly to their deskphone for easy playback. Plus, with their in-built DECT radio the VSP726A and VSP736A can be paired with both the VSP601A DECT handset and/or the VSP500A DECT headset. For pricing and stock information, please see our reseller portal, ProSys. Members of the ProVu Team travelled down to London last week to attend the 2016 ITSPA Awards. The awards took place at The Deck, National Theatre, London on 11th May. 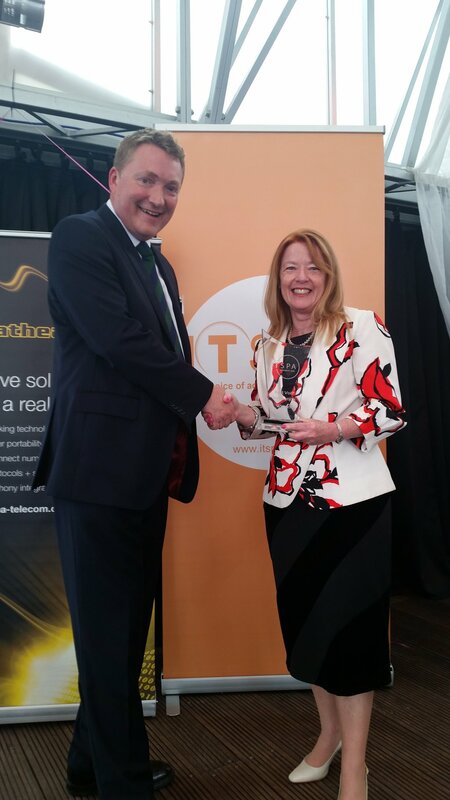 Having sponsored the award for ‘Best VoIP Innovation’ we would like to congratulate 8×8 for winning the award with their Virtual Contact Centre and Gradwell Communications for being named ‘Highly Commended’ in the category for their Call Recording. We would also like to congratulate our vendor partners, VTech and Yealink for being named ‘Highly Commended’ in their category, ‘Best VoIP CPE’. 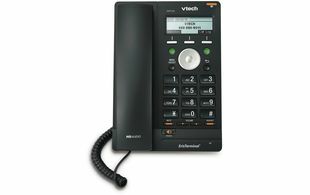 VTech were ‘Highly Commended’ with their VSP725A/VSP500A/VSP601A bundle and Yealink for their VP-T49G video phone. We thoroughly enjoyed our day at the awards and as always it was great to catch up with our channel and vendor partners. Congratulations to all finalists and winners of the awards! 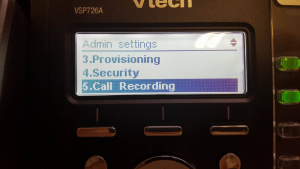 Following recent interoperability testing, it has today been announced that VTech IP phone models have now been added to Xorcom’s Endpoint Manager, an auto-provisioning tool in their Complete PBX IP-PBX systems. 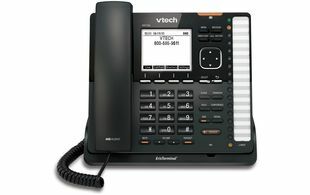 The tool allows automatic provisioning and hassle-free management of VTech IP phones within the PBX interface. For more information on the VTech IP range, please see our VTech information page. 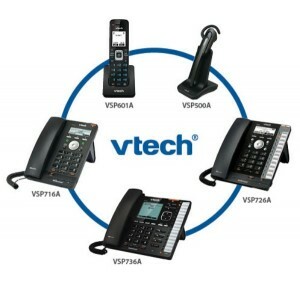 We are delighted to announce we are now distributing the latest range of VTech ErisTerminal SIP phones. Although new to SIP phones, VTech are an established manufacturer and are in fact the world’s largest manufacturer of cordless phones. We believe VTech’s exciting new range will become a strong competitor in the UK SIP market and we are thrilled to be able to bring the eagerly anticipated ErisTerminal range to our customers. Pricing and stock information is available on our reseller portal, ProSys. If you do not have a ProSys account, you can register via our reseller online application form. If you would like to speak to a member of the ProVu team, you can email: contact@provu.co.uk or call: 01484 840048.